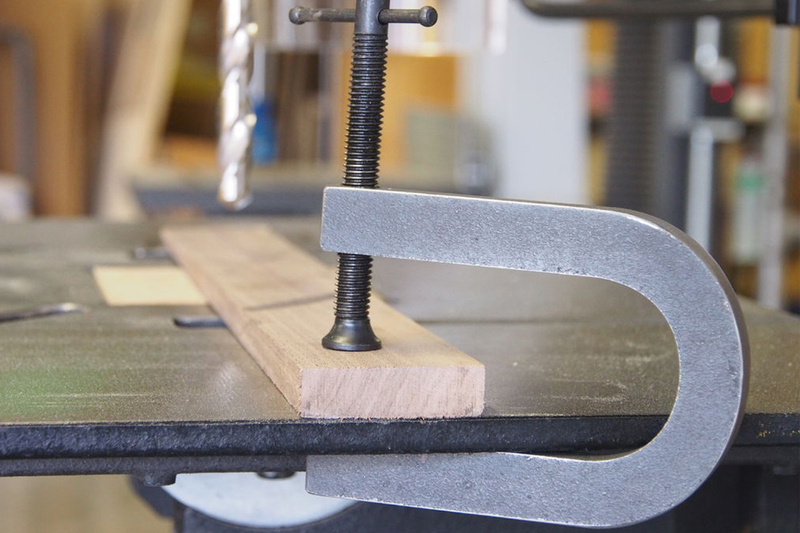 C Clamps are an essential tool for any woodworking shop. They are also widely used by mechanics, homeowners and plumbers. Anywhere you need to hold an object to another object then the C clamp is a great tool. They are small and lightweight and come in a variety of sizes that will fit most any application. When purchasing tools it is essential to find items that will last and be strong enough for the task you need. We have selected the best C clamps available and they each have strengths depending on your application needs. For many home improvement projects, having different C clamps in your arsenal will ensure you have the right tool for the job when the time comes that you need it. 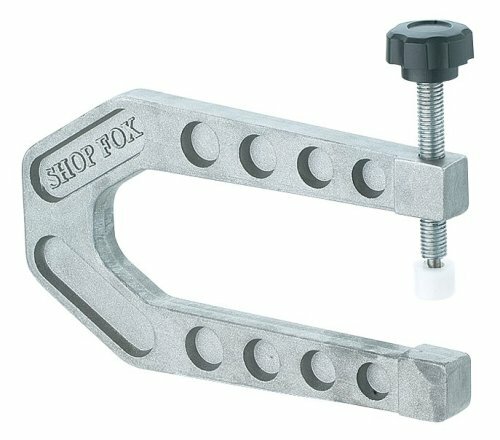 The Shop-Fox-D2804-Aluminum-C-Clamp is a 6 inch clamp that has a deep center for holding larger objects. The C clamp is a lightweight design but is made of cast aluminum which is extremely strong. The C clamp has a full 6 inches of reach to hold items. This makes it a perfect clamp for woodworking applications. It is also used for making musical instruments like guitars. It has a 1 5/8” width capacity and has a nylon screw with a rubber tap at the end to protect the item being held from scratches or other markings. It only weighs 11 pounces and is 7 ¾ inches in length, and 4 inches wide. The Shop-Fox-D2804-Aluminum-C-Clamp is great for most woodworking applications. The IRWIN-225108-Series-8-Inch-C-Clamp is built for faster clamping. The design has a double threading which will secure the item with up to 50% more pressure than similar clamps. This increases the durability and strength and maximizes torque pressure obtained when using the clamp. There is a large pad that swivels. This reduces marking and damage to the surface being clamped. It also provides for increased stability. The handle is large and allows for greater pressure to be applied, while still maintaining its position. This allows the clamp to sustain 25% more torque pressure. It also requires less effort to operate. The IRWIN-225108-Series-8-Inch-C-Clamp comes with a lifetime warranty. The Bessey-DHCC-4-4_Inch-Double-C-Clamp has 3 heads. Two are on the bottom and one is on the top. The 2 heads allow the fixed jaw to hold items more securely. The 2 clamping surfaces on the bottom distribute the force evenly over a wider area providing a stronger and more reliable hold. The 3 touch points on the C clamp have soft pads that prevent scratches or markings on the items being held. 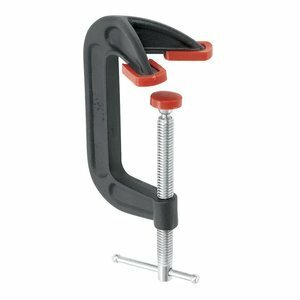 The Bessey-DHCC-4-4_Inch-Double-C-Clamp is made of alloy cast aluminum. The threading spindle is plated with zinc providing a smooth operation for securing items. The Bessey-DHCC-4-4_Inch-Double-C-Clamp comes in either red or black and has a lifetime warranty. It only weighs 1.6 pounds but is very strong and reliable.